2014 A chair designed from the backside. Chairs are most seen from the back, since they are facing the (coffee) table or each other. But most chairs are designed from the front. Not the X-chair. The X-chair looks iconic from the side you will see it most: it's back. On this side you see a big X. The chair consists of three elements. 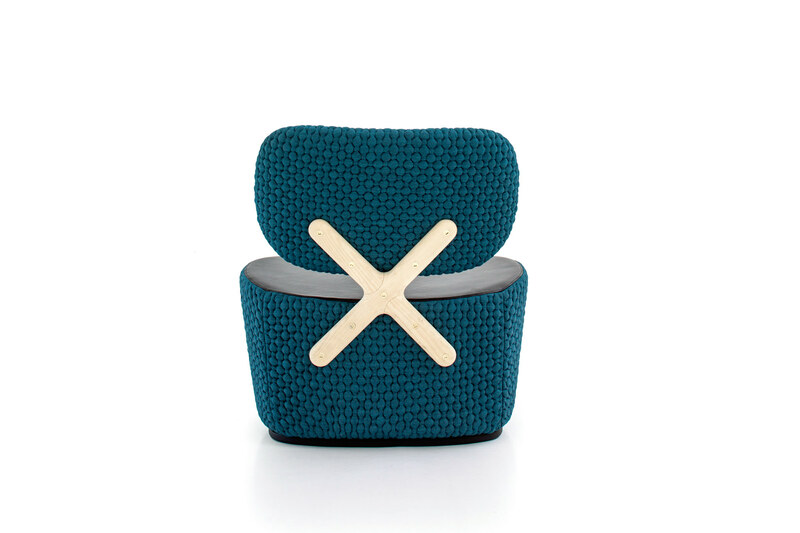 A solid tub-shaped seat and a rectangular back support with curved corners are connected by the X-shaped element that gives the chair its name. 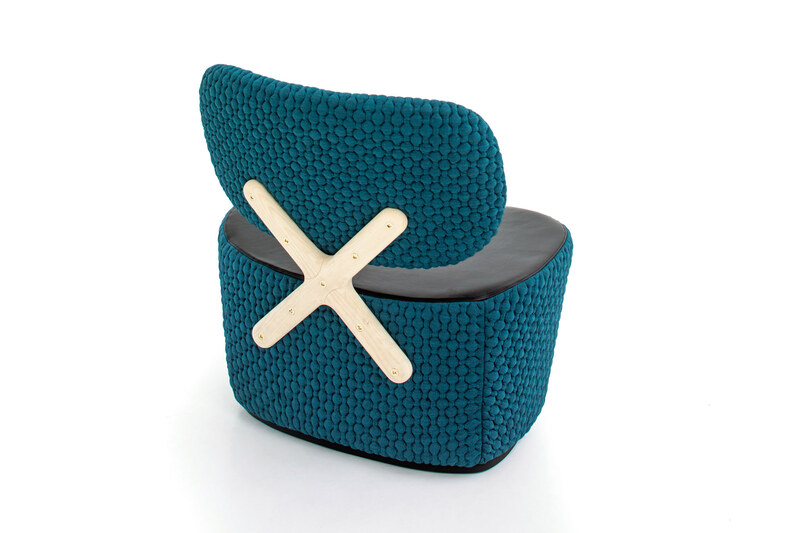 The X consists of two interlocking pieces of wood created using a high-tech computer-controlled milling machine, which is needed to create the correct curvature for attaching the element to the curved forms of the back and seat. The bolts holding the pieces together feature the M shape Moroso logo on their heads. The X-chair is extra wide to be more inviting and generous. It is extra round to be more friendly and mobile. It's round shapes are e dreamy mix of cyber space and nature. A playful yet functional design. The X-chair has a strong character, allowing it to stand on its own, but at the same time it's friendly shape can blend in in various environments, whether it's the home, a hotel or an office. 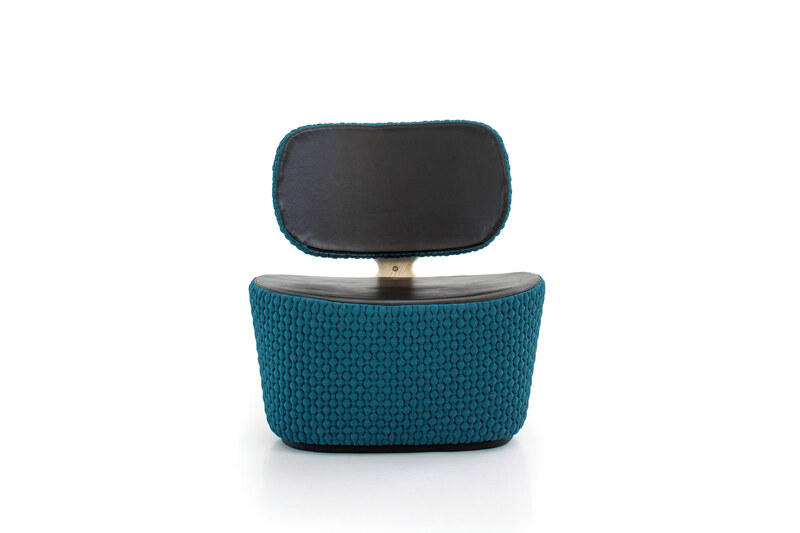 It easily can be mixed with other furniture, allowing the user to create it's personal space.